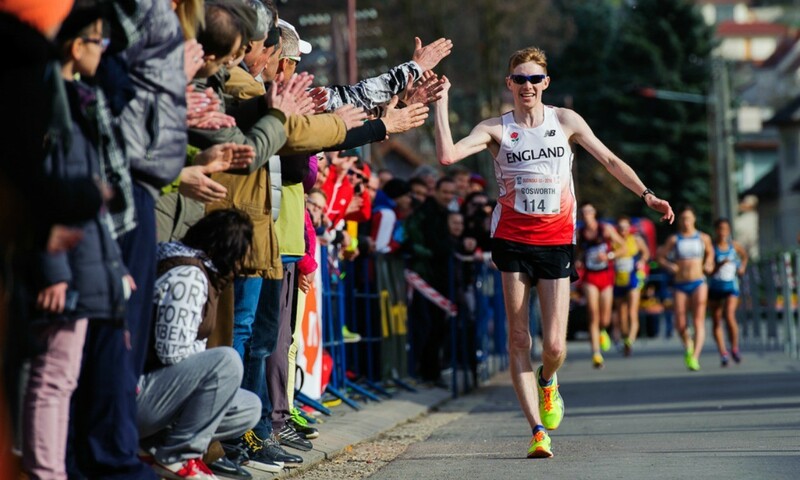 Tom Bosworth says he’s now on a completely different level from the athlete who finished 24th in last year’s World Championships 20km race walk. Bosworth smashed Ian McCombie’s 28-year-old record earlier this month to win the IAAF Race Walking Challenge in Dudince, Slovakia, in a time of 80:41, eclipsing McCombie’s 82:03 from the Seoul Olympics in 1988 and recording his first 20km victory on foreign soil in his career. The time is more than three minutes faster than he clocked on the streets of Beijing last summer and would have placed him fifth in the world. What’s more for the 26-year-old is that his British record would have won him gold in Moscow two years previously, vindicating the rapid progression he has made over the winter months. The prospect of being able to contend with many of the top walkers in the world excites Bosworth, and he feels his time in Dudince is just the start. He said: “The exciting thing about the walks is as soon as you become a contender with 80 or 79 minutes, on the day you just never know what’s going to happen with disqualifications or others having a bad day. I’m capable of walking 80 minutes now and I’m capable of walking even faster. It’s exciting to know that I could have a perfect day and I’ll be well up there. Bosworth, who also holds the 3000m, 5000m and 10km British records, approached the race in a style usually out of character, stretching the lead group after the first 4km of the race and opening up a 10-second gap, eventually finishing 11 seconds ahead of the Italian Matteo Giupponi. “It’s the international distance,” Bosworth added. “It speaks volume across the world. That’s what everybody else compares you on. “Everybody commented on my great winter but I had to replicate that over 20km. I knew I had a big, big step up and that would mean bypassing that British record. The level I want to be competing at now is well past that. I’m just so, so pleased it’s happened and is all coming together perfectly in the beginning of an outdoor season,” he added. With plenty of time to go until the Rio Olympics, Bosworth has months to fine-tune his race tactics and his fitness – something he says he has committed every second of his life to in the winter season. His current enthusiasm is something he knows he needs to keep in check, admitting he had to fight the urge to immediately get back on the track to continue training. An original plan for 2016 of walking 80:59 has been conquered and Bosworth even says the performance has meant a reassessment of his goals for the rest of the year.